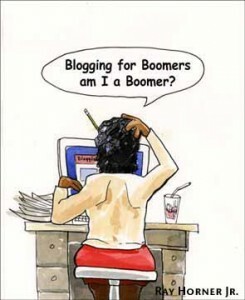 Eboomer sales is an online opportunity for baby boomers to learn how to sell stuff online. Hopefully it will be full of inspiration, step-by-step learning, and empowerment. Our goal is to help you add to that pension and have fun doing it. Amazon. Now we are just starting out of the gate and most of the information on the site will be related to Ebay but more is coming. So what will you get for your 9.95 monthly membership that you can cancel whenever you want? -Access to a closed Facebook group so you can shoot me questions when you are in trouble and share with other members. Don’t worry you don’t have to be my friend to be in the group. But you can learn a lot in this group and not feel alone. My goal is to help you solve problems in your attempt to make money online with Ebay and other sites. I want to share with you what I know and still learning. Don’t worry when you have learned all you want to learn or just tired you can end your membership any time. Some of you may just want to hang around to further get your Ebay going and that is great. So sign up now and let’s hang out. Not a Member But Want to Join? Yes, you can join EboomerSales for only $9.95 per month and cancel when you are tired.of learning. What Did Folks With Lots of Money Buy on Ebay in 2017? Only Members Can see this?